As you saw yesterday, we just procured a large batch of new CDs. I’d like to take this time to highlight two personal favorites. These two CDs are very different from each other but both are tremendously important to the development of popular music. Each represents both a perfection of style and a watershed moment, shaping the sound of their respective genres while representing the best each had to offer. As far as sample-based hip hop production goes, it’s hard to top this album. While other great albums preceding it made use of extensive, creative sampling (Paul’s Boutique, Three Feet High & Rising, It Takes A Nation Of Millions…, etc. ), their producers used the samples to create a backdrop for the featured rapper. Endtroducing….. features no rapper, and relies on scores of samples to provide a thematic narrative. DJ Shadow’s creative chopping of drum breaks, sampled rap lyrics, atmospheric pieces and movie dialogue keeps the album interesting throughout. What truly stands out about Endtroducing….., however, is its compositional ambition. The songs stretch out into epic, jazzy expanses, often far longer than a traditional hip hop record. 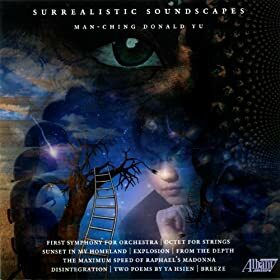 In fact, this album was such a jump from the traditional use of samples and breaks that it led to the new genre of “trip hop,” sort of a bridge between ambient music, psychedelia and jazz, anchored by rap beats. On this album the line was forever blurred between hip hop grooves and avant-garde musical exploration, and we can thank it for a wealth of creative hip hop that has since followed. Ah, Graceland. The sight of it in our “new CDs” pile gives me an intense feeling of joy, as this is one of the best pop albums I’ve ever heard and (probably) that was ever made. Suffering from a failing marriage and a commercial slump in the early 1980s, singer-songwriter Paul Simon was inspired by a cassette of South African music and went to the apartheid-stricken country to record with some of the musicians there. After this trip he returned to New York City and wandered the streets, composing an incredible set of soul-searching, heart bearing, romantic but realistic lyrics. These lyrics rest among Simon’s best, often surrealistic, fantastical or futuristic, but all managing to hit upon beautiful understatements on the trials and tribulations of interpersonal relationships. They form a uniquely American point of view that meshes strangely well with the African musical background. And what a background it is! Unstoppable percussion grooves and liquid bass lines anchor exuberantly twinkling guitar runs, conjuring a dreamlike state. Often the vocalists of South African a cappella group Ladysmith Black Mambazo sweep in, a tapestry of vocal timbre. These elements, previously unintroduced to American pop music, took Simon’s stellar set of lyrics to the next level, and paired with the occasional electronic drum kit and saxophone were able to create a pop sound that had never before been reached. Graceland truly represents the amazing possibilities of blending international pop styles, and it is a high watermark in pop musical history that has yet to be equaled- it’s hard to imagine such perfect chemistry occurring again. Did I sell these well? Come check them out and see if they’re worth my hype. Or don’t, and I’ll keep listening to them during my shifts, it’s okay. 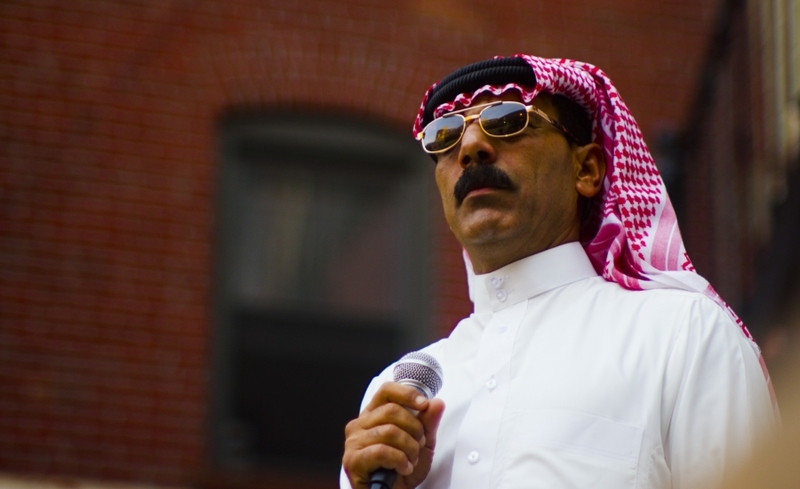 What a week for American University performing ensembles, huh? Looks like the absolute horror of finals season’s approach has inspired an impassioned response from the arts. We already told you about our nite of jazz at “Jazz in the Fall” on Friday, but there’s another event coming even sooner: DPA professor and conductor Yaniv Dinur’s “A Little Night Music from Israel and America” tomorrow night! This event is being put on in association with the Katzen museum as well as the AU Center for Israel Studies. Featuring our AU orchestra as well as performers Mary Voutsas on piano and Brian Prunka on oud (a fretless middle eastern string instrument), will follow Prof. Dinur’s journey from Israel to America, showcasing composers from both countries such as Ives and Cerrone from the U.S. and Weisenberg and Nebenhaus from Israel (both with the first name Menachem). Truly a unique assortment here! This event will be tomorrow night (Thursday, 11/20) at 8pm in the Katzen Museum. It is free but you must RSVP. You can do that here, at the facebook event, and make sure to click “attending!” Hope to see you at this lovely night of exploring the musical and global progression of one of our beloved professors. I can’t believe I’m writing this. The AU Music Library now has The Disintegration Loops. So weird to write that. 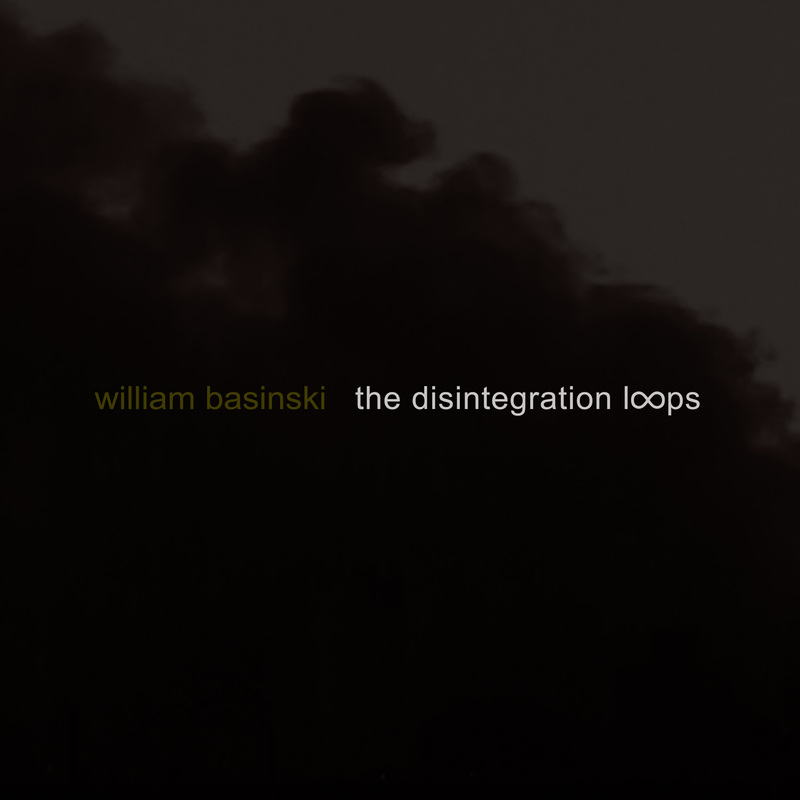 It’s true: the AU Music Library now has a CD set of the complete Disintegration Loops, by Mr. William Basinski. I am beyond pleased that we get to share this incredible music with the AU community. Most people haven’t heard of this piece – really a collection of pieces – and many won’t have too much of a reference point for something like this. But I’m not worried, as this is, despite a good story about its creation, some of the most direct music I’ve ever heard, pretending to be nothing that it is not. The sounds do not need explanation. The few times I’ve put it on here in the library, almost everyone asks what’s playing. The story. 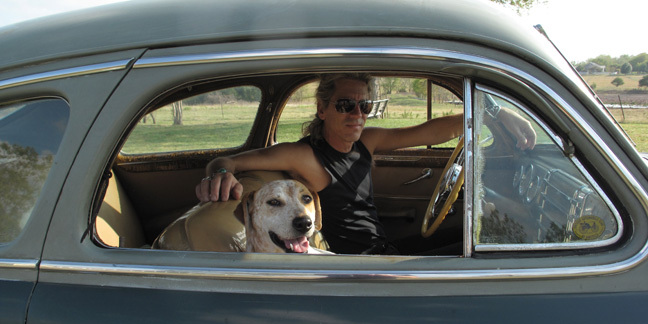 In the early 80s, Mr. Basinski, interested in ambient sounds and ambient music and Brian Eno and somber tones, made some tape loops. 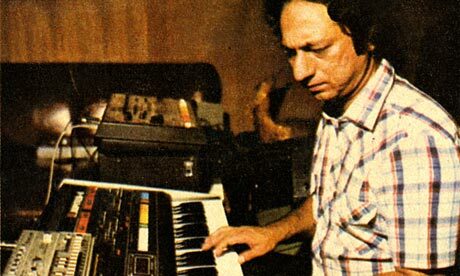 He recorded simple melodic phrases from pretty inexpensive synthesizers onto short bits of magnetic tape. This was, of course, when all recording was done on tape, and Mr. Basinski was experimenting. Nothing much came of these melodies, and a young Basinski put the tapes in Tupperware boxes and stored them away. In the summer of 2001, an older Basinski found the tapes, and started playing them on his old tape machines, listening to the sounds of his younger self. He had the idea to preserve the sounds on these loops digitally, so he hooked up the tape machine to his computer and pressed play. As he was recording them, to his horror, the metals on the tape had oxidized over the years, and hunks of the metal tape began to fall off of the plastic, leaving holes and fractures in the melodies. Whole pieces were reduced to metal filings left on the machine, completely disintegrating with the repetitious playback. All he had left were the digital recordings of these disintegrated tape loops and small piles of metal dust. Basinski was continuing this process in late August and early September, and on September the 11th. Standing on the roof of his place in Brooklyn on that Tuesday morning, he stared at the skyline in a daze, in utter shock, just the same as the entire nation. The loops played on out loud and he could hear them from the roof. Basinski dedicated this piece to the victims of that tragedy, and the two have been linked ever since. I think what makes this music so special for me is how evocative it is, how utterly somber, sweeping, pastoral it is in its themes, and how this music can’t really be said to go anywhere. It just decays, entropies out into fields of oblivion. Simple and grand, this music seems to foretell the decline of our nation and our civilization: the decay of values, economies, the natural world, and politics, quietly and stoically. The loops lovingly obliterate all sense of time, leaving the listener suspended in majestic a-temporality. You really just have to put these CDs on and see how they color your breathing, you mind, your walls, and our American sunsets. p.s. – This interview is a great place to start if you want to read more. I met Mr. Basinski after a show of his in 2006 and he was a very kind soul. It’s an interesting story: keyboardist of famous 1970s Ethiopian nightclub funk act (the Walias Band) tires of the Addis Ababa scene and moves his band to America, where they become a commercial failure and he is forced to take up taxi driving in D.C. for a living. And he’s totally happy doing it! This was the tale of Hailu Mergia, at least, when the Washington Post checked in last June. The article speculates that with the reissue of Hailu’s 1985 solo album Hailu Mergia and His Classical Instrument, Mergia could emerge from his retirement from music and return to live performance. Turns out, the Post was right! Shortly after the album was reissued, Mergia undertook a European tour and then added American tour dates as well. And this coming Tuesday, he’s performing at the Kennedy Center- for free! The performance comes as an installation of the Kennedy Center’s Millenium Stage Performances, which can be attended for free or streamed live from the Center’s website. And if you’re curious about Mergia’s sound, guess what? We have the CD reissue of Hailu Mergia and His Classical Instrument at the music library! Reissued on blog-turned-label Awesome Tapes from Africa, this album sounds like about nothing you’ve ever heard. Over a synthetic drum-machine pulse, Mergia combines sounds from the Yamaha DX-7 (an early synthesizer), a Fender Rhodes and his own accordion, crafting a sort of strange, otherworldy African future-funk. Super cool! Remember last weekend, when there was a great on-campus musical event both Friday and Saturday night? Well guess what, readers? This weekend, it’s happening again! That’s four great AU musical events in two weeks. What do you think of that, GW? The weekend will start off with “Out Of New York,” a performance by Professor Noah Getz’s AU Workshop (formerly AU Jazz Workshop), performing tunes they have worked on all semester. AU Workshop, in contrast to the more traditional AU Jazz Orchestra, embraces the experimental edge of music and, while it most often uses the arrangement of a jazz ensemble, generally performs in a fusion of many styles, be they jazz, fusion, funk, rock, neoclassical,hip-hop, world, electronic, or anything else, really. Sure to be an intriguing musical experience! 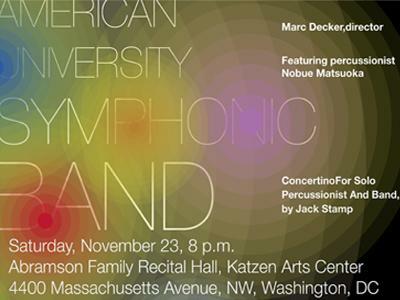 And if that isn’t enough for you, come back on Saturday night for the cumulative performance by the AU Symphonic Band! Led by professor Mark Decker and featuring the Music Library’s very own Music Librarian, Nobue Matsuoka-Motley (don’t be fooled by her sweetness, she destroys the kit), the band will perform Jack Stamp’s “Concertino For Solo Percussionist And Band,” a classic in the American wind band repertoire. So, another week full of music! Both events charge $10 for the general public to attend, but you can get in for $5 if you are a student or an AU community member. Both events are at 8 PM in the Abramson Family Recital Hall in Katzen. Very easy to keep straight, but if you want more information (or to buy tickets online), head to these event pages. Enjoy, and tell them the Music Library sent ya. 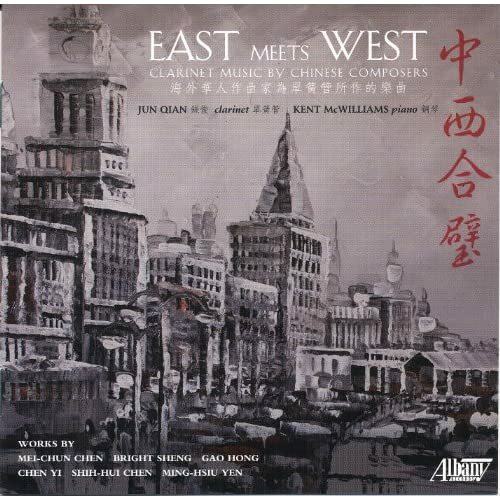 The East meets the West in our newest batch of CDs. And who knew that the clarinet would be the binding force? This wonderful collaboration is part of a ten part series produced by Smithsonian Folkways Records titled “Music of Central Asia”. The Grammy-nominated series is another in a long line of remarkable projects from Folkways. Come check it out and then go online and download the free program notes!